The style of the book has been jarring for some, but I think you actually get used to it quite quickly and it keeps the action going and keeps you on your toes. There's really quite a lot of story going on here, and it's quite well crafted together. 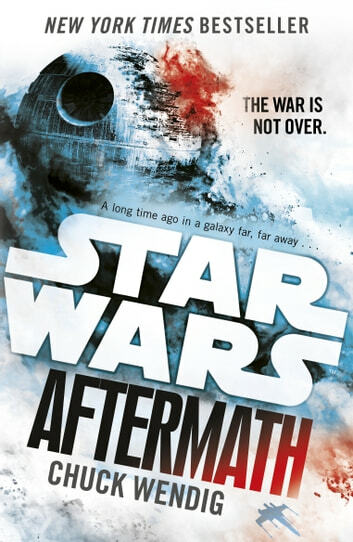 Obviously it's a shame that we don't learn much at all about the main Alliance characters post-RotJ but there will be plenty other books. The new characters in this book were enjoyable and I'd be happy to follow most of them further. This book is awsome. 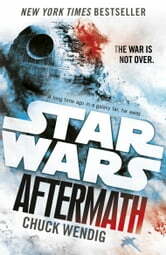 If you love star wars, then you will love the aftermath series. The cover the the book looks great. I waould rate this book 5 stars. This book is appropreate for 9+. Very disjointed, jumping from one planet we haven't heard of and a bunch of characters we haven't heard of to another planet we haven't heard of and another character we haven't heard of. Unless you were to read it in one sitting, the first half (at least) is quite hard to follow. Nonetheless I was keen to read what happened next each time I put it down. Wendig's main aim seems to have been to paint a picture of a galaxy in flux after the death of the emperor and to an extent succeeds in that. However, if it had flowed more smoothly it would have been a much more enjoyable read. A very good bridge between Return of the Jedi and The Force Awakens. Focusing on not just old heroes but new ones and normal people torn apart by the war on both sides of the conflict.